The majestic Coast Redwoods are perhaps the Santa Cruz Mountains most defining natural characteristic, dominating all but its tallest peaks and ridges. This ancient and magnificent tree is an icon of modern environmentalism, its story is one of tragedy and survival. Here in the Santa Cruz Mountains, though, the endangered species thrive once again. These green giants genuinely deserve their status as California’s co-State Tree (sharing the honor with its cousin, the giant sequoia). The ten tallest trees in the world are all coast redwoods, known to botanists and biologists as Sequoia sempervirens, which for non-Latin speakers means “forever living” or “forever green.” Although sadly ours don’t get quite so tall here, likely due to the somewhat drier climate compared to near the California-Oregon border where the champions grow, we do however have some that tower over 300 feet. 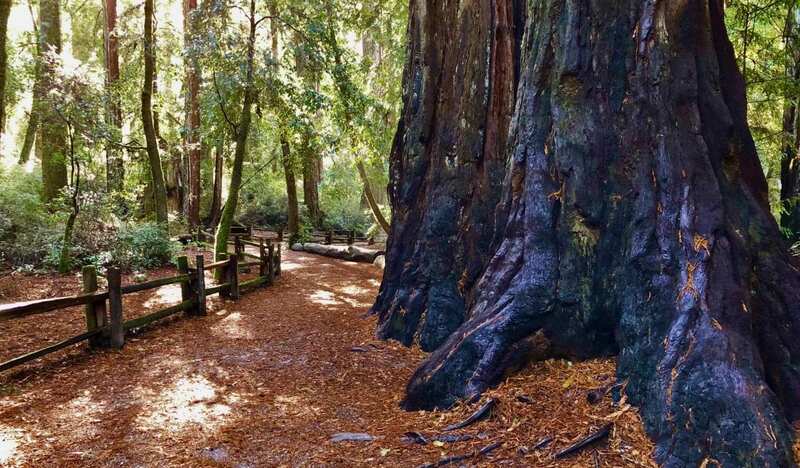 The individual trees can live for more than two millennia, as the 2,200-year-old round at Henry Cowell Redwoods State Park will attest. The roots may be much older than that, as they stay in the ground after the ancient giants fall to continue the cycle anew. 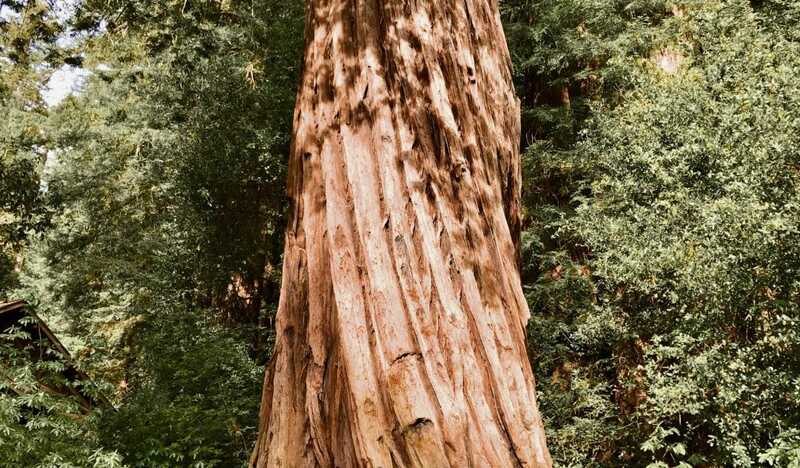 In fact, virtually all redwoods grow from existing root systems, and even right out of the sides of other trunks, rather than sprouting from seeds. This fascinating but common quirk of the redwoods is referred to as a “reiterated trunk,” and some old growth specimens boast dozens of them. We almost lost all of our old growth (350-700 years old or more) redwoods by the beginning of the 20th century, and sadly only about 2% of the state’s pre-contact redwood forests remain today. Back then, progress mainly meant industry, and in early Santa Cruz County that meant the Three L’s; lime (which required burning redwoods as firewood), livestock, and, naturally, lumber. In 1901, pioneering environmentalists and an activated citizenry won the first significant victory for the movement to save the redwoods with the passage of a State bill to protect the heart of what would become Big Basin Redwoods State Park. That and subsequent acts would build the foundation for the modern California State Park system. Over a century later, we are highly fortunate to enjoy the legacy of preservation here in the Santa Cruz Mountains.